Want to up your saree game to a whole new level? Let your statement blouse do all the talking. 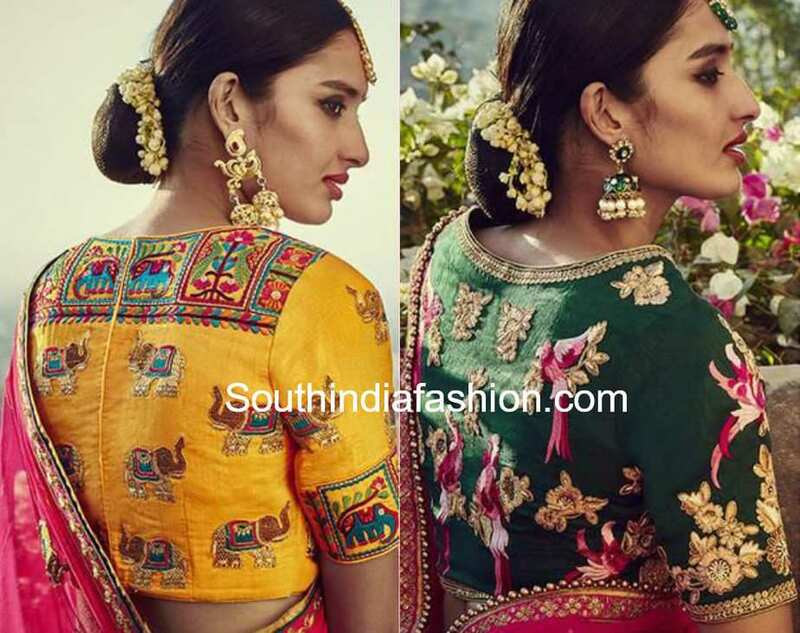 We always emphasize on the power of a heavily embroidered blouse and how effortlessly it can uplift a saree look. It is very easy to make a bold impact with your saree look but it is even more easier to make heads turn when you flaunt an embroidered blouse. 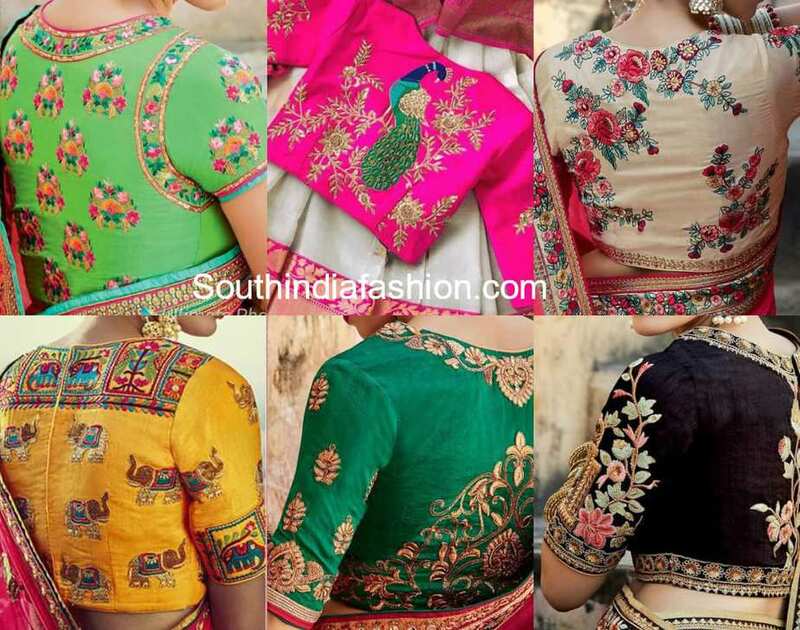 Blouse designs are many but a classic high back neck saree blouse design with statement embroidery will never go out of style. So today we bring you stunning high back neck embroidered blouse designs for you to rock this upcoming festive season. 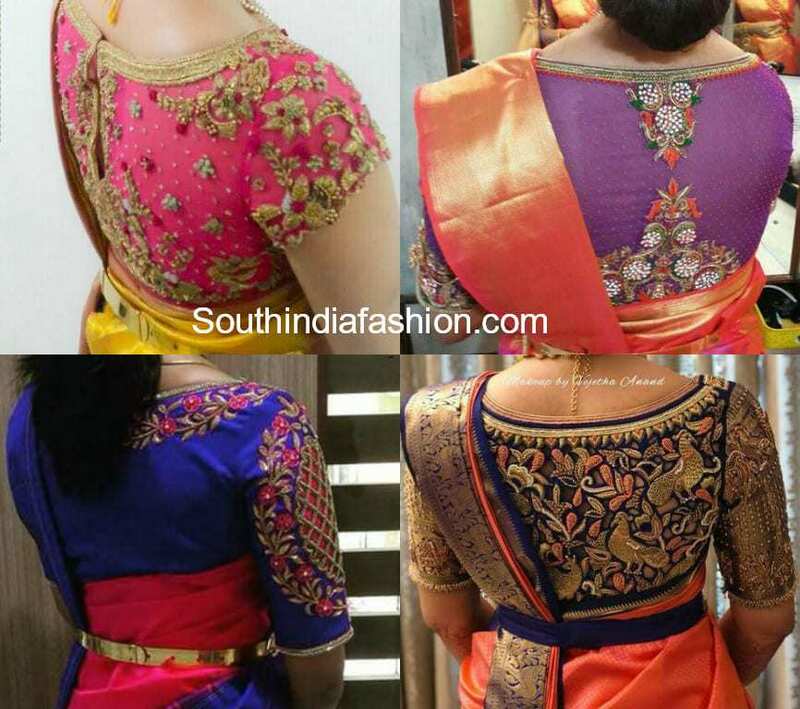 Earlier, the high back neck blouses were preferred only by the women of the older age group but lately, with the variety of interesting patterns and embroidery coming up, the high back neck blouse designs are a huge rage among the youngsters too. One of the evergreen designs to enhance your back neck outfits are with the conceptual floral embroidery. 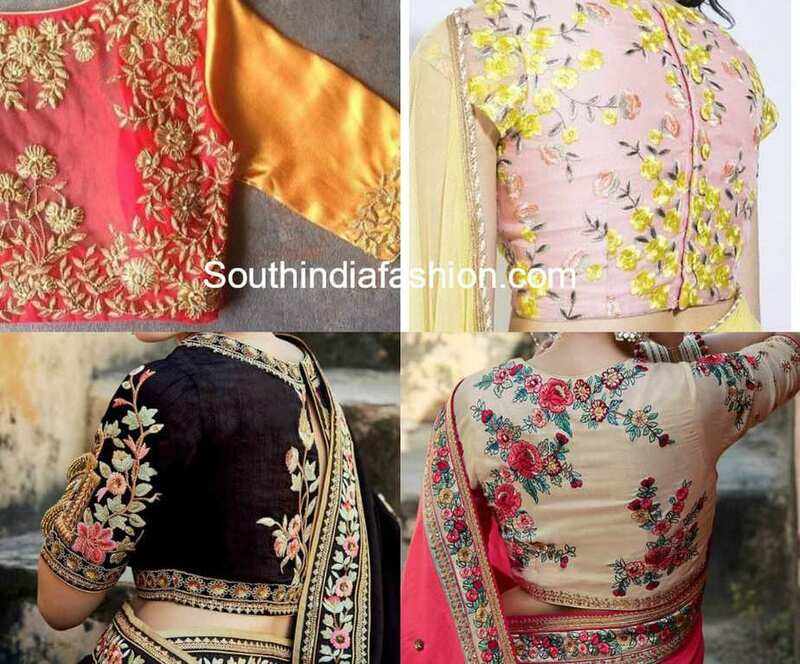 Floral designs in thread work, applique work, zardosi or aari embroidery designs look very graceful and add a feminine touch to your saree look. Animal or bird motifs is another interesting embroidery design to enhance your blouses. Scattered animal or bird motifs in colorful hues instantly grab all the attention. You can opt for unique animals like deer, elephants, horses and so on. However, it is essential to co-ordinate the embroidery design with your saree. 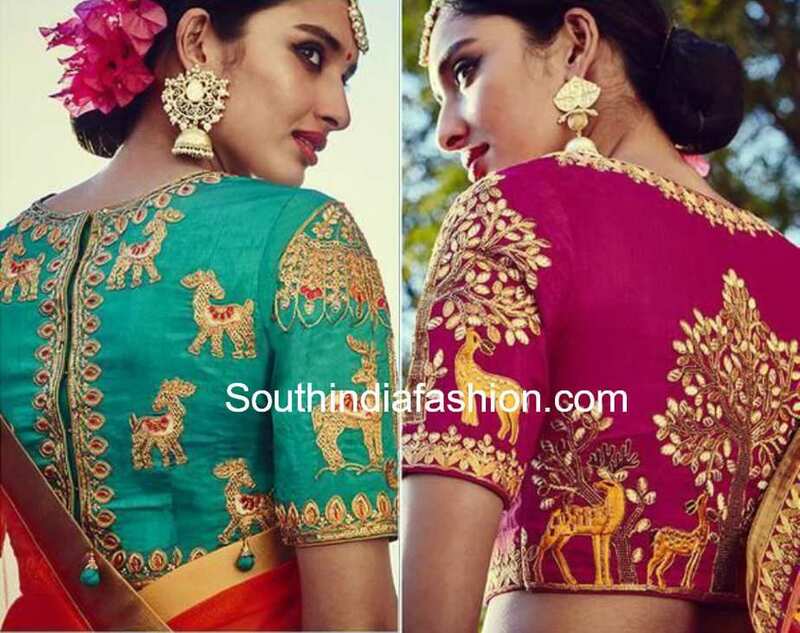 If your saree does not have any animal design but you still want to flaunt a unique embroidery design then go with classic animals and birds like parrots and peacock motifs. High back neck blouse designs can be embroidered in different shapes, designs and concepts. Leave a portion of your back neck empty so you can let the embroidery design grab all the attention. High back neck embroidery blouses can be easily styled with your traditional kanjeevaram sarees or your trendy designer sarees. Flaunt the high back neck embroidered blouses with any sleeve length and leave a lasting impression. So if you are a bride or planning to customize blouses for an upcoming wedding, a high back neck embroidered blouse is for the win. Be it for your saree blouses, lehengas or half sarees, this evergreen style is sure to leave you impressed. 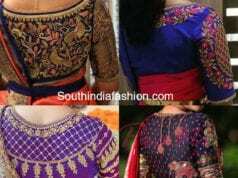 MORE BLOUSE DESIGNS – CLICK HERE!! 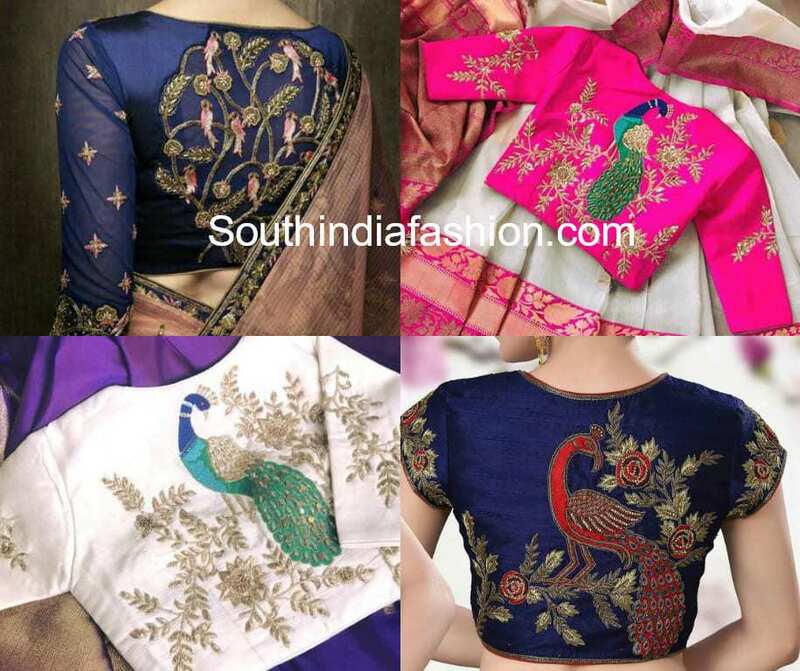 Different Types of Embellishments for Saree Blouses! 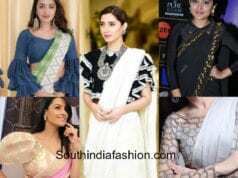 6 Modern Blouse Designs That Can Completely Transform Your Saree Look! 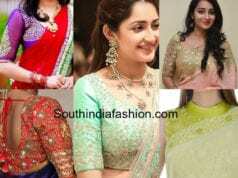 30 Super Simple and Trendy Blouse Designs For Silk Sarees! How can I order this blouse? Which website is selling these blouses?